This site is designed to be the best reference guide available for all hardwood products. Whether you are looking for information on finding a hardwood supplier, selecting the type of hardwood for a project, installation of hardwoods, repairing installation problems related to hardwood products or finishing hardwoods, this site is the place to find that information. 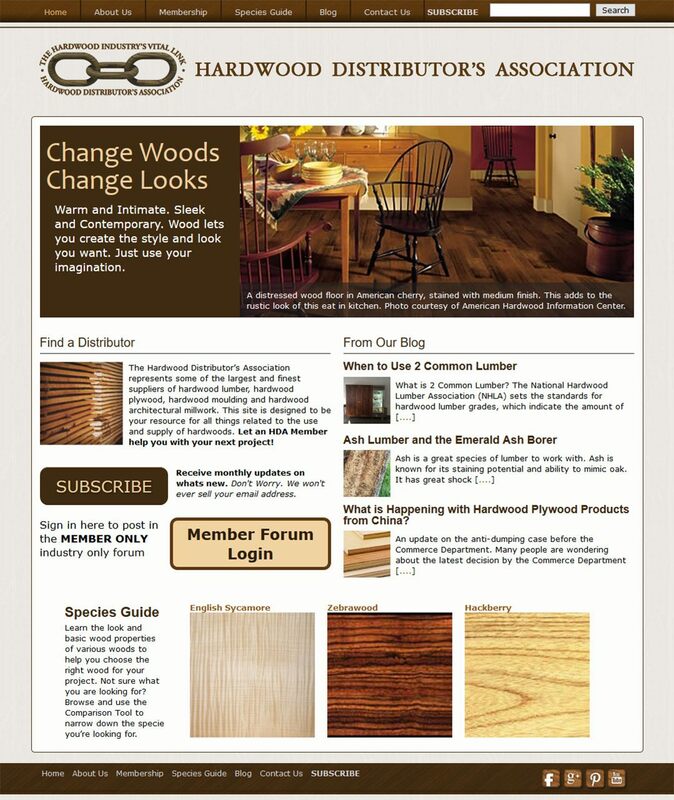 The Hardwood Distributor’s Association has always had a role in promoting and providing information on the wide variety of hardwood products our members offer. Distributors supply hardwood lumber, hardwood plywood, hardwood moulding and hardwood architectural millwork, as well as green certified wood. The Hardwood Distributor’s Association represents some of the largest and finest suppliers of hardwood lumber, hardwood plywood, hardwood moulding and hardwood architectural millwork. Remember us when you order your next hardwoods.